Your roof is one of the most important features of your mobile home. It takes a beating from rain, hail, ice, tree branches, and damaging rays from the sun. It needs a high level of protection for it to last a long time. Basic Components, Inc. carries roofing underlayment options for all types of roofs. Whether you are planning on installing asphalt shingles, composition shingles, shake, tile, slate, or metal roofing, Basic Components, Inc. has what you need for a quality roofing underlayment materials. The variety of roofing underlayment material found at Basic Components, Inc. ensures that you can choose the one that is right for you. We have underlayment that is specific to certain materials and those that can be used under all roofs. Our roofing underlayment products provide the best leak-protection for all types of roof. The durability of roofing underlayment is important. The roofing underlayment at Basic Components, Inc. are made of durable material that is meant to last. When you install the roofing underlayment at Basic Components, Inc., you can be sure your roof will be protected when the weather gets rough. 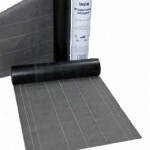 We carry roofing underlayment that is made of asphalt-saturated felt and glass fiber. All of our products are safe to use. 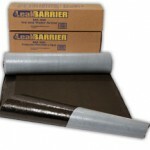 Most of our underlayment self-seals around fasteners to further ensure water protection. Our roofing underlayment materials resist mold, fungi, and rot. The roofing underlayment at Basic Components Inc. is easy to install. There are many features in our roofing underlayment options that help ensure proper installation. 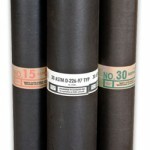 This includes self-adhesive and skid resistant material. They are wrinkle-free and easy to handle. Also, for some of our roofing underlayment, we provide step-by-step instructions to assist you in installing the roofing underlayment found at Basic Components, Inc. All of these characteristics at an affordable price are what makes Basic Components, Inc. the best option for roofing underlayment. We sell quality, cost-efficient products for your mobile home.